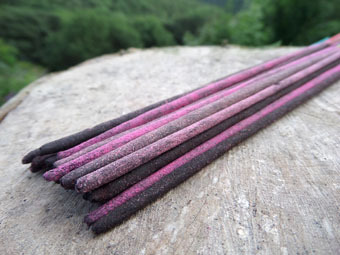 All of our incense sticks weigh about a gram, give or take a tiny bit. The average 20g packet contains 18 - 20 sticks and the average 50g packet contains between 45 and 50 sticks. 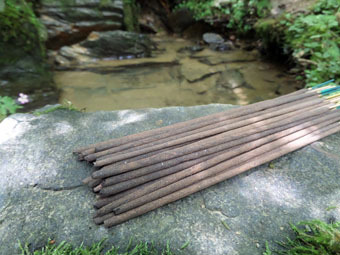 An average stick burns for 40+ minutes. This incense selection packet contains an assortment of soothing. 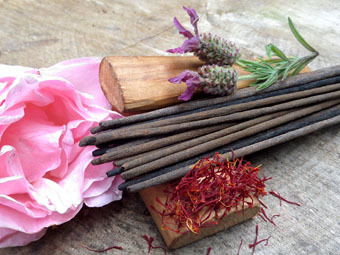 earthy and woody scents from the absolute range. 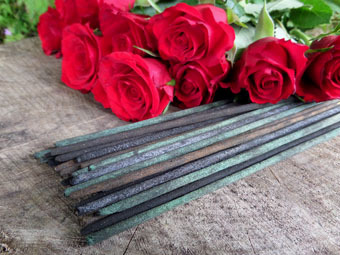 This incense selection packet contains an assortment of all rose fragrances in the absolute range. Warming, distinctive and sweet. 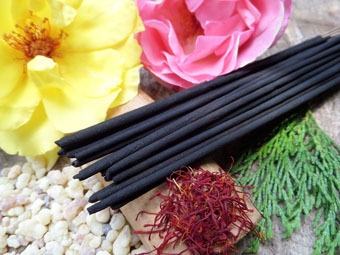 This incense selection packet contains an assortment of all sandalwood fragrances in the absolute range. Oriental, earthy and soothing. 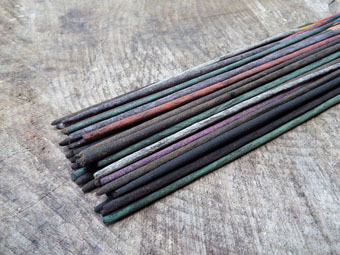 This incense selection packet contains an assortment of the most sensual and heady scents in the absolute range.